Practice what you preach, maybe the world would be a better place! Have you ever wondered how the world would be if, peace, love and unity were actually a reality. Yeah we all preach it in our talk, in our churches, schools, work places, homes, parliaments and all but clearly as it is, we don’t practice it. That would by my kind of near perfect world. Peace, love and unity if practiced, would streamline everything else. Things like corruption, war/violence would not be in existence. We would be watching them in movies — conspiracy and horror movies, but seeing as most of this movies are clips from the real world. It’s so sad, the directors of movies aren’t given the chance to be creative anymore. What are the chances that people came to a consensus of opinion? In this day and age, seeing as everyone is an “I know it all”. That decisions were made based on everyone’s contribution without fights and major disagreements. I love my country “Kenya”, which is only a very small part of the world, but we have the suckiest leaders of all times. We are trying to formulate a new constitution here, the CoE (Committee of Experts) and the PSC (Parliamentary Select Committee) as they call themselves have a decade of well paid *read hefty* meetings. And they come up with the draft constitution — *YaaaaY* I mean they have reviewed the current constitution seen its errs and now they have come up with a new one to help tackle the issues that were previously identified. We are a democratic country, we all take part in the decision making of such major issues such as adopting a new constitution. I would actually call this consensus decision making. Anyway, so my dear leaders decide to form two groups “YES” and “NO” note that, most of them were involved in the formation of the new constitution. And as countrymen and women, we are supposed to either support the new constitution(yes) or go against it(no), they are all seriously marketing their product or is it service, branded them (yes=green and no=red), and formulated some seriously expensive strategies to win votes from the confused common man. There is already a rift in our small country which is just a very tiny part of the big world. Starting from the people who lead us, they are all sending mixed signals… they preach peace, love and unity but practice violence, hate and disunity. Starting off, our country would be a better place if, our leaders were united in their decision making before presenting solution to the common country man. I mean that’s why we choose them as leaders in the first place. Don’t start telling me about loop hole’s, go ahead and rectify them then bring for us the final product. I mean if our leaders disagree from the top, what makes you think that at any one point the common man will be in agreement or have unity. 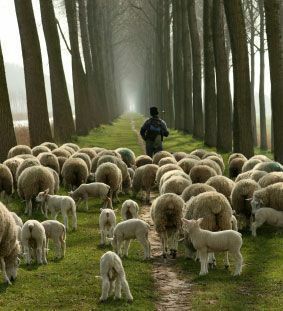 It’s the case of the shepherds and sheep, we are the sheep, and we will always follow our shepherds (our leaders). If they preach Peace, Love, Unity and Practice it, I believe it’s going to rub onto their followers. It’s called leading by example. Plus a change is always better than a rest #justsaying – Especially when you are so unaware of where you are resting *Wise Words*…lol YES! !